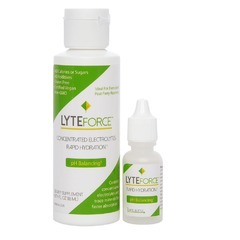 LYTEForce is a special blend of concentrated, fast-absorbing electrolytes and trace minerals your body needs to stay PH- balanced and perform at optimum levels of energy, stamina, and hydration. It's perfect for competition or any strenuous activity and won't weigh you down with sugar, additives, or unnecessary calories. Proper hydration helps to reduce the incidence of muscle cramping and fatigue so you can endure longer. Take LyteForce before, during and after your workout to help replace the electrolytes that are lost when sweating or exercising. Get the edge you need to perform at your best with LYTEForce. 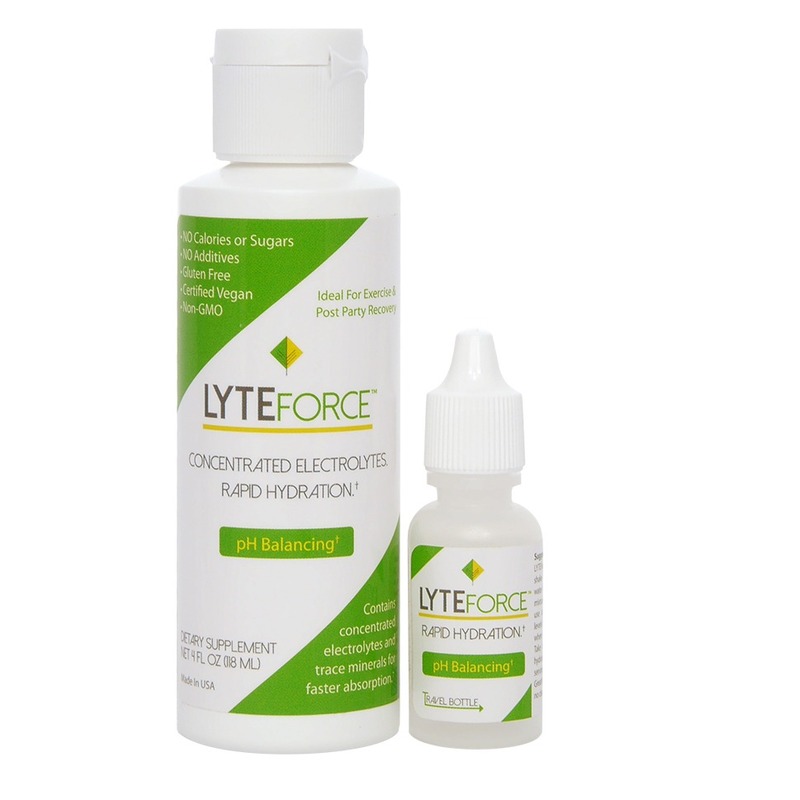 LYTEForce helps replenish minerals and electrolytes that may be lost due to excessive alcohol consumption. The power of LYTEForce changes ordinary water into a powerful formula that refreshes with no salty or syrupy taste, yet feeds what your mind and body cravesessential minerals and electrolytes to fortify the H20. With more magnesium and potassium other electrolyte products or typical sports drinks. Allergens No Sweeteners, Starch, Yeast, Milk, Eggs, Fish, Shellfish, Tree Nuts, Peanuts, Wheat, Gluten, Soybeans. No Artificial Ingredients. No Calories. Suggested Use As a dietary supplement Add tsp. of LYTEForce to 32 oz. of water and shake well. Reduce amount of water for a more concentrated mixture if desired. The suggested use above provides optimum levels for taste and performance when mixed with pure water. Take as needed for maximum hydration. Do not exceed 8 servings in a 24 hour period. Great for use in hydration packs no cleanup required Measure tsp. equals approximately 34 drops. 34 drops is also the same as filling the cap of the travel bottle to the top of the threads with LYTEForce. For smaller quantities tsp. / 17 drops mixed with 16 oz. of water and about 9 drops mixed with 8 oz. of water. - Or as directed by your healthcare professional. Other Ingredients: Seawater, Concentrated Ionic Trace Minerals, Purified Water, Potassium Chloride, Citric Acid (Plant Source), Zinc Sulfate.